We're increasing curb appeal, improving efficiency and enhancing quality of life one home at a time. View our 2018 J.D. Power award-winning windows and patio doors. Our windows come standard with ENERGYSTAR qualified SolarZone Elite glass packages. Window World TX will custom design and install entry doors to match any home’s interior or exterior décor. 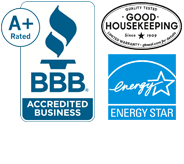 Our replacement windows and home siding options offer all of the features that you would expect from premium American-made windows and siding: Energy efficiency, durability and curb appeal. Browse our wide selection of replacement windows and siding products today for the perfect home renovation project. We’re the go-to for all Corpus Christi, San Antonio and New Braunfels window replacement services. Improve your home's energy efficiency, curb appeal, and comfort with our award-winning and American-made windows. Looking for tips and inspiration for your home remodel? Check out the latest blogs from our replacement window and siding professionals.